Do you know someone who would fit in well at Frontal Lobe Coworking? Someone who works from home, is starting a business, has a business or just needs to get out of the coffee shop environment. Look no further than our very own local coworking space in Howell, MI! 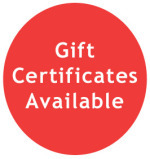 A great gift for the Holiday Season, please Contact Us today!